These K-Celebs have already decided when they want to go from “Miss” to “Mrs”. Many girls grow up dreaming about their perfect wedding day, and these gorgeous K-Celebs have dreamed about it too. Suzy, Yoona, and IU have already begun to plan their future weddings, right down to the year! Many fans had hoped that Suzy and actor Lee Min Ho would tie the knot, but since the power couple split in 2017 Suzy’s wedding may still be a long way away. In an episode of Off The Record, Suzy was asked if she saw herself married by age 34 and she answered “yes”. This is because a fortune teller once told Suzy that she would be wed by age 31. This K-Pop princess is currently only 23 so she has all the time in the world to find her Prince Charming! See more of Suzy’s Off The Record appearance here. In 2012, Yoona spoke about her marriage plans on Entertainment Relay‘s “Guerrilla Date” segment. At the time, Yoona said that she would like to be married by age 32. Yoona was 22 at the time. In May, she will be turning 28 which means that her hypothetical wedding is only four years away! 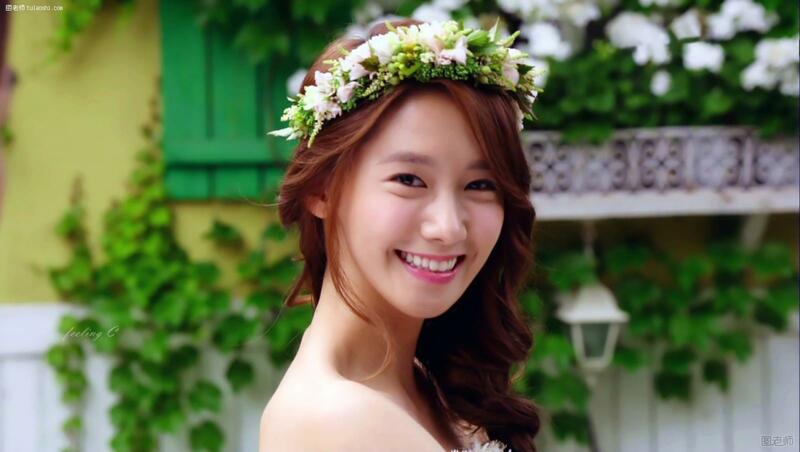 Yoona’s dream wedding would be a classic ceremony that takes place indoors. Nothing too out of the ordinary! When the interviewer asked Yoona if she had picked her wedding song and MC yet, she burst out laughing. Yoona made it clear that she is not in any rush to tie the knot. Fans can relax…for a little while longer! In 2012, IU opened up about her marriage plans during an episode of Strong Heart. Unlike Suzy and Yoona, IU had not decided on an exact age by which she wanted to be married. Instead, she said that she wants to get married young, while she is at the height of her beauty and popularity. IU said that she planned to retire once she is married in order to focus on being a good wife. At the time, she said that her ultimate goal in life was to have a loving marriage and a happy life with her family. IU is becoming more beautiful and popular every year, and so far no wedding plans have been announced. For now, only one thing is certain: when IU finally does walk down the aisle, she will be one of the most beautiful brides the world has ever seen!